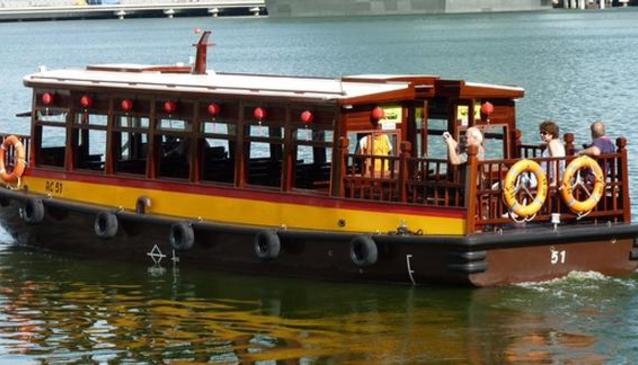 The first to tour on the river, the Singapore River Cruise has been taking locals and travelers alike since 1987. The iconic Bumboats bring a rustic charm to modern Singapore, allowing you to explore the Singapore River in a fun and exiting way. Lean back, see charming shophouses, impressive skyscrappers and stunning attractions pass by while listening to the story and history of the city on audio record. Since 2008, the diesel-powered engines joined the new generation and replaced the diesel for electric motors offering quieter engines, and of course, zero C02 emissions. In their commitment to exceed excellence you can assume an amazing experience when touring with Singapore's first River Cruise. There are several jetties and ticketing counters along the river and around Marina Bay. The first boat leaves at 9am and the last at 22.30pm.